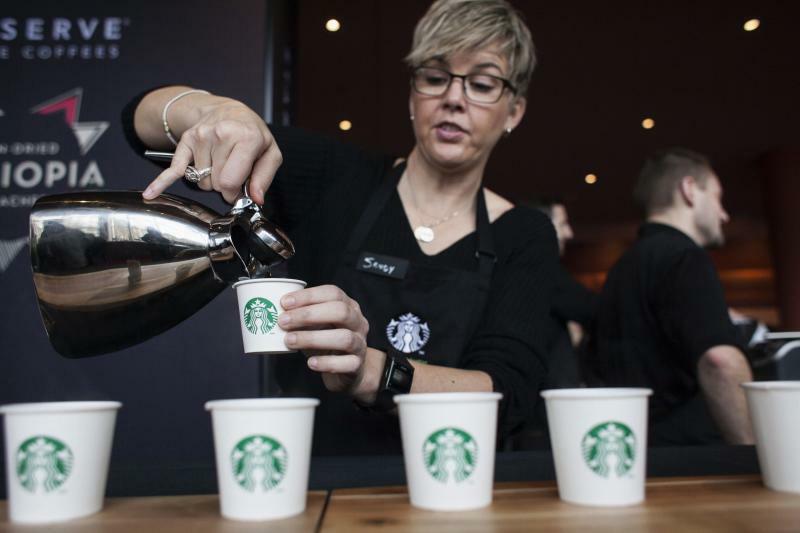 Being a coffee clerk may not be a dream job, but Starbucks (SBUX) has added some kick to its line positions with a new program that covers college tuition for employees who meet certain conditions. And Starbucks, like Costco (COST), Whole Foods (WFM) and a handful of other enlightened employers, offers starting pay well above minimum wage, along with other benefits it probably doesn’t have to. Firms that offer employees above-market pay and perks usually contend it makes good business sense to treat workers well, since it boosts morale, discourages turnover and improves the company’s image. So why don’t more companies do it? The answer involves a combination of pragmatism, short-sightedness and sensitivity to Wall Street concerns. The few companies that do make a point of treating workers better than average have a few things in common. First, they typically distinguish themselves in the marketplace through quality, service or some attribute other than low prices. That makes it important to have loyal, personable employees who make a good impression on customers and maintain quality control throughout the ranks. Starbucks, for instance, clearly doesn’t woo customers through discounts. Instead, it emphasizes a pleasant experience in its stores, which tend to draw businesspeople and others willing to pay $4 or more for a cup of coffee. “If you’re in the business of touching customers every day, you want a workforce that’s loyal and in a positive mood,” says Mike Van Ham, a principal with Buck Consultants. Hiring talented employees, even at the entry level, requires the kind of fairly sophisticated hiring operation many companies don’t have, either because they’re too small or they’ve never invested in it. It helps if the firm has centralized control of all its outlets, which is difficult at chains such as McDonald’s (MCD) or Subway, which franchise most of their stores. And most companies that feel strongly about high-quality employees have a founder who’s passionate about the issue and remains influential at the firm. That certainly pertains to Howard Schultz of Starbucks, John Mackey of Whole Foods and Jeff Brotman and Jim Sinegal, the co-founders of Costco. A knack for wringing good PR from employee programs — which some have accused Starbucks of doing with its new college benefit — doesn’t hurt, either. There have been dozens of studies showing the investment approach to employees can pay for itself, and then some — but only if it fits with the company’s culture and is institutionalized among managers at all levels. For starters, offering better compensation than competitors draws better job applicants. Yet paying workers more than necessary can put a heavy burden on management. Cascio’s study found Costco had to be unusually innovative in order to keep profit margins up, by constantly coming up with new merchandising ideas, for instance. Many companies may lack the C-Suite creativity required to do that on a regular basis. Costco also faces ongoing criticism from Wall Street analysts who complain its labor costs are too high and its profit margin too low. Still, Costco’s stock, up 177% during the past 10 years, has handily outperformed the broader stock market. Walmart (WMT), the parent company of Sam’s Club, has risen just 33% during that time. Retailers such as Walmart and fast-food franchises such as McDonald’s, Burger King (BKW) and Pizza Hut — frequent targets of campaigns to raise wages — often have a business model premised on keeping labor costs as low as possible. Such firms can actually afford to pay their workers more, but it might affect their bottom line — and their customers — more than critics realize. McDonald’s, for instance, has an enviable profit margin of 20%. If it unilaterally raised wages, one of two things would happen — its profits would decline, provoking complaints from shareholders and Wall Street analysts, or its prices would go up as it passed higher costs along to customers. Since McDonald’s does compete on price, cost-conscious customers might buy their burgers elsewhere, in effect supporting businesses that pay their workers the least. Besides, the best way to boost wages isn’t to beg companies to change their business model — it’s to cultivate a thriving economy in which pay rises because the need for workers does. Until that materializes, workers eager to get a job with a choice employer should hone the skills that will help them get ahead in nearly any situation. “Employers look for individuals with the ability to connect with whoever they’re talking to,” says Van Ham. “If you can carry a conversation, it shows confidence in yourself and your personality, and makes me trust how you’ll interact with people internally and externally.” Sooner or later, that's likely to pay off.